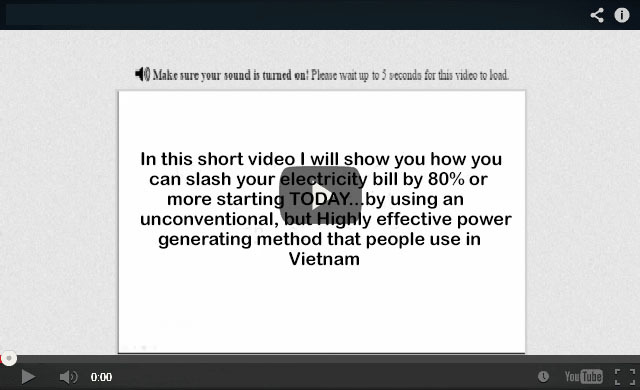 Save on electricity costs by generating your own. Generating your own electricity can reduce energy costs and ensure security of supply. For rural properties, it may be the only practical and cost-effective option. For urban properties, ‘micro-generation’ may also be an attractive option under the right circumstances. Electricity is expensive and the price is expected to keep rising. Generating your own electricity may be cheaper in the long run than continuing to use power from the local lines. If you can generate and store your own electricity, either individually or collectively with neighbours, you have security of supply even if there is a black-out, or if your local electricity network is closed down. This gives you much greater independence from the grid and can be useful in times of civil emergency or bad weather. In any year, up to 79% of New Zealand’s electricity is generated from renewable sources such as hydro, wind, bioenergy and geothermal. The rest comes from burning fossil fuels such as gas or coal, a process which produces greenhouse gas emissions and contributes to climate change. As demand increases and additional electricity is generated, these emissions are likely to increase. By reducing demand for electricity from the local lines, and generating it yourself using renewable energy such as hydro, wind or photovoltaic cells, you’ll be helping reduce New Zealand’s greenhouse gas emissions and your personal carbon footprint. If you are grid connected, you will be connected to the local electricity network, and can export excess electricity, as well as using mains electricity as a back up for your system. Using the grid for storage through a feed-in tariff arrangement with the local lines company will mean that you can save on the cost of having local storage battery banks. If you are using batteries, you’ll need enough capacity to store electricity for your needs when your generators are not working. This may need to be the equivalent of several days’ supply if you rely on intermittent sources of generation, such as wind turbines or solar photovoltaics. There are a range of options, but lead acid batteries are the cheapest for large-scale storage. Renewable energy systems usually use what’s known as wet batteries, rather than sealed or gel batteries. Batteries emit corrosive and inflammable gases during the final stages of charging, so they should be installed in a well-ventilated structure separate from your house if possible. They will need to be properly installed and maintained to keep them safe and in good condition. Check with your supplier and follow the manufacturer’s instructions. They may need replacing every 6-8 years. A bank of batteries sufficient for a stand alone system for one home may cost anywhere from $10,000 to $30,000, depending on how much energy you need to store. Find more information on batteries for stand alone power systems on the Energywise website. a controller to make sure the output is 230V and 50Hz, and that the battery doesn’t overcharge. It sends the excess power to a resistance element which can get very hot. You’ll also need cables, which should be thick enough to carry the highest current. The shorter they are, the less power you’ll lose along the way. If they must be long, the voltage must be increased – which means you’ll need more equipment to change the voltage levels. Note that a registered electrician must do all work with 230V equipment. Your power retailer will sell you power at one price and may buy power from you at another price. You’ll need a contract with the retailer. Different suppliers allow different options, so check before you install a system. If you’re connected to the grid, you’ll have to pay monthly supply charges. Home electricity generation is expensive so you don’t want to buy a bigger system than you need.